XCEL provides cost effective IT solutions to the Calgary and Edmonton business markets. Although we are fascinated by new technology, we hold the best interests of our clients at heart. We believe in delivering the right solution to clients, not the one that will make us the most profit. We are leaders amongst IT Companies in Calgary and Edmonton. 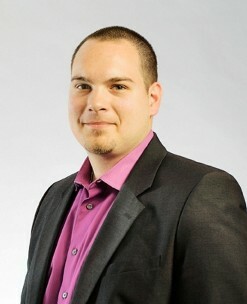 Following graduation from the Computer Technology program at SAIT (Southern Alberta Institute of Technology), Colin pursued his career in technology as a technical support analyst for a multinational Oil & Gas Company. During his term with the organization, Colin was instrumental in the international redesign and amalgamation of the network spanning multiple continents. Moving on as a consultant at a Calgary based technology firm for nearly three years Colin moved from Senior Technical Analyst, to Project Manager, to Service/Operations Manager with a staff of 20 IT Professionals reporting directly to him. At this firm, Colin engineered and implemented a technology solution which was awarded a national Microsoft Impact Award as the Small Business Specialist of the Year. His years of technical experience combined with an innate business savvy, and true passion to help businesses succeed through the use of technology has led to the creation and ongoing success of XCEL Professional Services. Colin also sits on the Board of Directors for the following businesses and groups in a technology and business advisory role: Generations of Hope, Passportal.